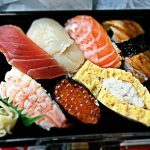 Sitting down at a restaurant is not always the most convenient way to grab a bite to eat and fast food is not always appetizing. 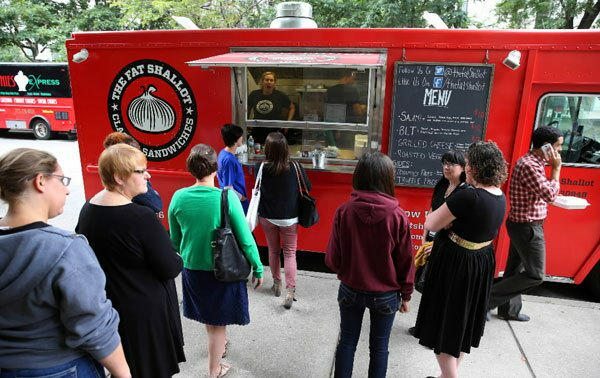 Chicago food trucks roam throughout the city to offer a welcome change to the normal food options. Beware, once you find a truck that you absolutely cannot get enough of – you may have to prepare yourself to chase it around the city! 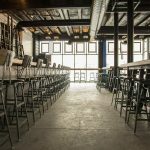 Haute Sausage embraces one of Chicago’s biggest claims to fame and adds their own unique spin to it. 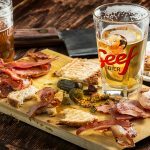 They specialize in Wisconsin style beer-infused pork bratwurst that is topped with anything from traditional Midwestern to South African and Middle Eastern inspired. The owner has spent time in all of those areas – allowing him to recreate the flavors in the most authentic of ways. Follow them on social media or get on their email list to stay updated on their location throughout the city. They also have a storefront location. 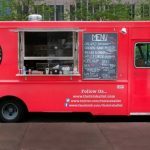 Out of the Chicago food trucks, Wow Bao is the one to find for Asian taste on the healthier side. Their creations are basically stuffed buns – that range from spicy kung pao chicken to pulled pork inside of them. 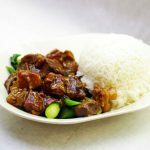 The buns are not fried or baked; they are steamed for the perfect consistency and texture. Their unique sandwiches are worth chasing after them. Follow them on Twitter to stay up to date with their location. They also have a storefront location. The Roost specializes in fried chicken and fried chicken accessories – by that I mean delectable biscuits and coleslaw. They have rotating menus throughout the day, as well as locations. Whether you are springing for one of their specialty biscuits, fried chicken, chicken sandwich, or just a side of their hand-cut potato chips, the flavor and quality may turn this into your roost when you need a quick bite to eat. Their website is updated daily with their locations and menu. Husky Hog BBQ takes bbq perfection mobile. Founded and run by an award winning bbq chef, who has roots in the deep South, assures that each piece of succulent meat is cooked and served to perfection. They offer all the standards of bbq cooking, along with the sides that are required to compliment it fully and turn it into a meal. Follow them on Twitter to stay up to date with their location. Bridgeport Pasty Company was first a thought when two Chicagoans were biking through London with little time to spare. They specialize in pies, but not the sweet kind that you are imagining. Their pies are packed with meat, vegetables, and seasoning – think of it as a portable potpie. They have options for meat and vegetarian lovers alike. Follow them on social media to stay up to date with their location. They have a storefront as well. The Salsa Truck is mobile Mexican food at its finest. They are a modern take on classic Mexican street food. They serve up hot and fresh tacos and quesadillas, as well as the expected side dishes to accent. Where they really shine is their extensive variety of signature salsas that can intrigue the mind and explode the taste buds. They have a storefront called The Garage that is a unique setting with a rotating menu. Follow them on social media to stay up to date with their location. The Fat Shallot is run by a husband and wife duo that have a passion for all things delicious. Their menu is hearty and very hard to choose from – every sandwich is so tempting. 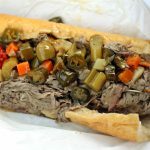 BLTs, Buffalo Chicken, Pulled Pork, Meatball Subs, and the Reuben are just some of the options to drool over. They have gourmet fry options as a side – one involving truffle aioli, enough said. Their schedule is posted on their website, as well as updates on social media. The Slide Ride is your stop for some of the best burger and sandwich sliders in the city. They offer a vegetarian option along with their specialties – such as: Siracha Buffalo Chicken, Gyro, Pulled Pork, and Baby Bacon Burger. Potato chips are a side option to complete your All-American sandwich experience. They offer a ‘sack lunch’ option that gives you a deal on three exquisite sandwiches. Follow them on social media to stay up to date with their location. E. Leaven takes their gourmet food from their restaurant to the streets. They serve up a variety of wraps, falafels, burgers and sandwiches at very reasonable prices. They are usually around for breakfast and lunch, with menus that cater to each. Their bagels alone are worth stopping in for. Be sure to check-in via Facebook for 25% off of your bill. Follow them on social media to stay up to date with their location. Tamale Spaceship specializes in just that, Tamales – not spaceships. They offer up lunch in the form tamales that come in an impressive amount of variety. They offer vegetarian options, as well as slow roasted chicken, pork, steak, and even duck – which are complimented by a variety of sauces and spices. 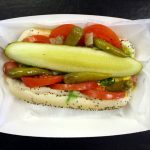 You may not find any of the other Chicago food trucks serving dishes like this. You can find a daily schedule on their website, but it is wise to follow them on social media for any last minute changes.